I bake everyone in the family a round, single layer cake. When the cakes have cooled, everyone gets to frost and decorate their own cake. We use various colors of frosting, candy, flaked coconut, marshmallows, and sprinkles. 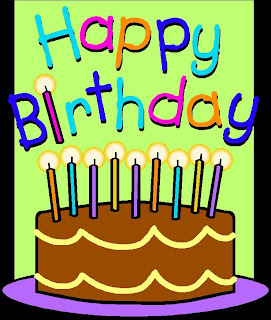 When the decorating is done, we light a candle in each cake and sing Happy Birthday to Jesus. Then everyone gets to start eating their own cake. I've also invited the neighbor over to make cakes with us as an evangelistic activity. Print the magazine. Then, find a quiet place to read or get your family and read it together. Galatians 6:9 - Let us not become weary in doing good, for at the proper time we will reap a harvest if we do not give up. Here are some questions that you can answer and discuss. Did the you find the story about 12 year old Katie McConnell exciting? What was your favorite part in the story - The Widow Who Wouldn't Give Up? 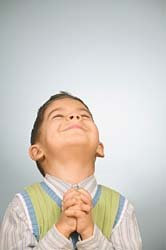 How did you pray for schools? What new thing did you learn - about Perseverance? The story of Robert Raikes is very inspirational. God used this man to start many new Sunday Schools. Plus he made going to Sunday School popular. He was a real hero. I hope you enjoy reading the story of Robert Raikes for kids. Here are some questions for you to answer. Can you imagine working 6 days a week, up to 12 hours each day? Why would these overworked, poverty-stricken children spend their one free day going to school? 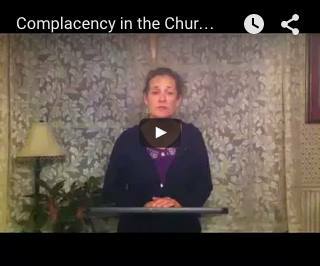 Why were the children hesitant to come to Sunday school at first? 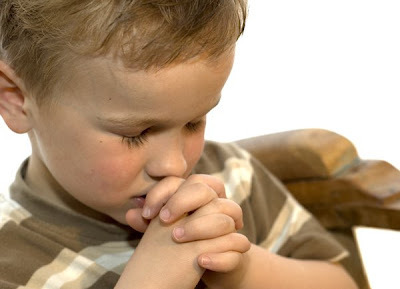 What are some things that keep children from coming to Sunday school today? The new Sunday schools taught two kinds of lessons. They taught reading and writing part of the day and Bible lessons the rest of the day. Which do you think was more important for helping the children and why? What difference has attending Sunday school made in your life? Have you ever invited a friend to Sunday school? Many other adults were aware of the white slaves of England, but did nothing to help. Why do you think Robert Raikes chose to do something to help the children? What resources did Robert have that he could use to further this cause? Your family members can pretend to be elves and do acts of kindness during the Christmas season. 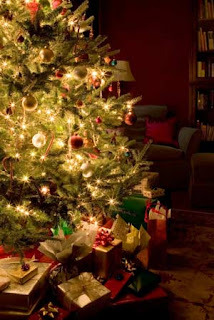 Set up your sleeping bags and pillows around the Christmas tree. Have snacks and play games. It will be fun to fall asleep looking at the lights and ornaments on the tree. Each evening after dinner, choose from one of the Christmas cards you have received. Pray for the family or person that sent you the card. The story of William and Catherine Booth is very inspirational. 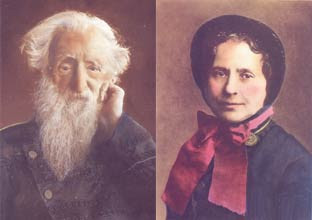 God used this couple to establish the Salvation Army. They were real heroes. 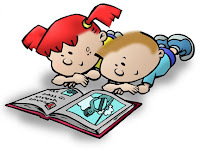 I hope you enjoy reading the story of William and Catherine Booth for kids. William and Catherine Booth's marriage was based on more than love. What common goal did they share? What ways did their children get involved with their ministry? Are there ways your family can work together to help others? What kinds of people did the Booths reach out to? Why do you think so many people (including fellow Christians) were against them? 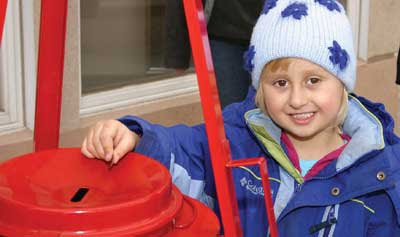 Have you ever seen a Salvation Army worker ringing a bell and collecting money at Christmas time? What do you think the money is used for? Spend family night making Christmas Crafts. 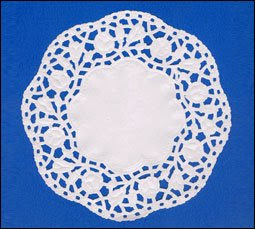 You can make crafts to decorate your house and to give away as presents. Maybe you'll want to deliver them to the neighbors as you sing Christmas carols at their door. 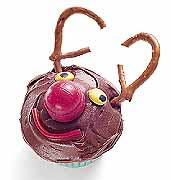 Here's a family night snack to make - Rudolf Cupcakes. 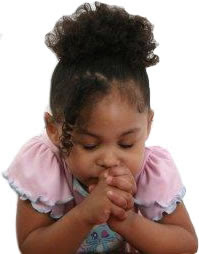 Psalm 27:8 - My heart says of you, “Seek his face!” Your face, Lord, I will seek. Did the you find the story about 8 year old Joy Sutton exciting? What was your favorite part in the story - What David Did When No One Was Watching? How did you pray for people with disabilities? What new thing did you learn - about Contemplative Prayer? The story of Patrick of Ireland is very inspirational. God used this man to evangelized and baptized thousands of people--as many as 100,000! 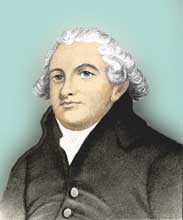 He helped to establish some 200 churches. He was a real hero. I hope you enjoy reading the story of Patrick of Ireland for kids. What made Patrick so sure that his dreams were from God? How did Patrick become tuned in to hearing God's voice? Does your school or family celebrate St. Patrick's Day in March? Why do you think the color green is the color of St. Patrick's Day? Do you think that our modern day St. Patrick's Day celebrations have much to do with the story of Patrick? 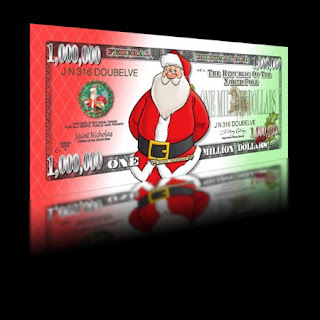 You can pass these out in December. They look like money, but they have a gospel message on the back. Here are some ways to give them away: at Christmas parades and events, in zipper lock baggies with candy, at Christmas parties, and to friends, relatives, & neighbors. If you are guilty of these things, it shows that in your heart, you are a lying, thieving, blasphemous, murderer-at- heart. Many people don't know that God will use the Ten Commandments to judge the world. Forget about Santa, "naughty" and "nice"... how will you do on Judgment Day? If you are found guilty, that means an eternity in Hell... 2,000 years ago, God sent Jesus to the earth to pay for your sins. When Jesus died on the cross, He took the punishment that you deserve for breaking His Law (The Ten Commandments). God's wrath came down on Jesus, instead of on you. The Bible says, "God commands all men everywhere to repent, because God has appointed a day in which He will judge the world in righteousness." Remember if you try to get to Heaven on your own, you must keep every Commandment in thought, word, and deed! Jesus paid the penalty for your sins on the cross. Then He defeated the power of sin and death when He rose from the dead. Repent (turn away) from your sins. Place your faith in Jesus Christ alone to save you. God will grant you eternal life. Read your Bible daily and obey what you read. The Christmas season is here. It's time to plan out your family Christmas traditions. 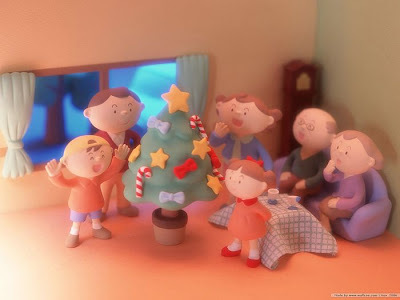 I've made a blog with 100 Family Christmas Traditions. You may want to choose a few to make your Christmas season more memorable. If you're really ambitious, choose one a day starting the day after Thanksgiving. Psalm 100:4-5 Enter his gates with thanksgiving; go into his courts with praise. Give thanks to him and praise his name. For the Lord is good. His unfailing love continues forever, and his faithfulness continues to each generation. Psalm 105:1 Give thanks to the Lord and proclaim his greatness. Let the whole world know what he has done. 1 Thessalonians 5:18 Be thankful in all circumstances, for this is God’s will for you who belong to Christ Jesus.